Who doesn't like finding a new, amazing quality product... better yet, when it only cost's you £1! Up first we have the Schwarzkopf Pro Style Heat Defence Spray. I made a devoted vow to myself this year to take good care of my hair, as in previous it has been neglected with serious heat damage. So when I saw this heat defence spray I had to pick it up and give it a try. My trusty L'Oreal Elnett (circa £6) was running low anyway and I thought for the sake of £1 let's give it a try. 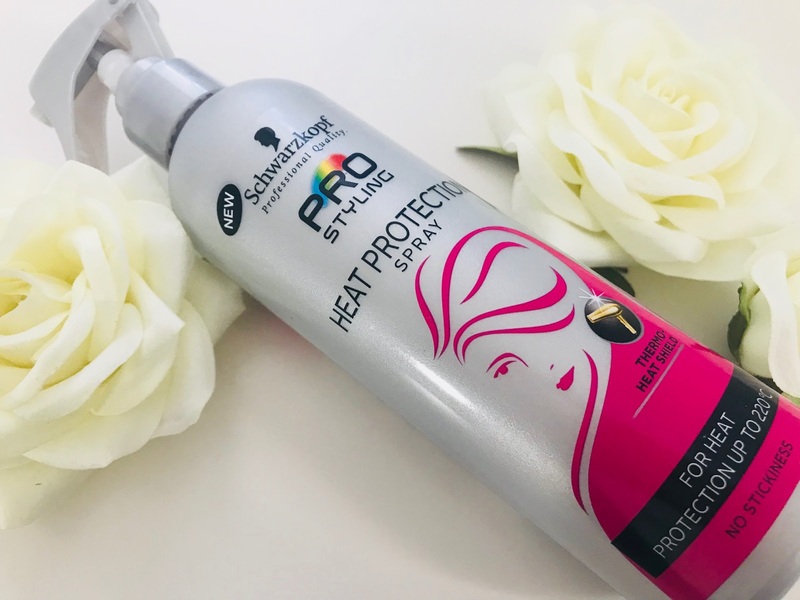 I loved the fact it protected against heat up to 220c (I know my hair straighteners are 200c) and the pump design of the bottle was again very similar to my expensive go to! Straight away after my first use I knew I was going to love this product and that it was going to work well for me. The smell was amazing, the formulation was light, not sticky at all and after drying and straightening my hair, I genuinely noticed a real difference. My hair looked, felt and smelt amazing. This gets a huge thumbs up from me and I will be stocking up if I see it still in the Poundshop on my next visit! My second bargain find was this OGX shampoo dupe. This caught my eye purely based on the scent, I am a huge sucker for anything Almond scented (or flavoured) so I had to pick this up and give it a go. Of course the first thing I did was smell it, and it for sure did not disappoint. The Almond scent is very rich but not too over powering and not too sweet like some Almond scents can be. The only slight disappointment is that it did not particularly linger in the hair after washing. 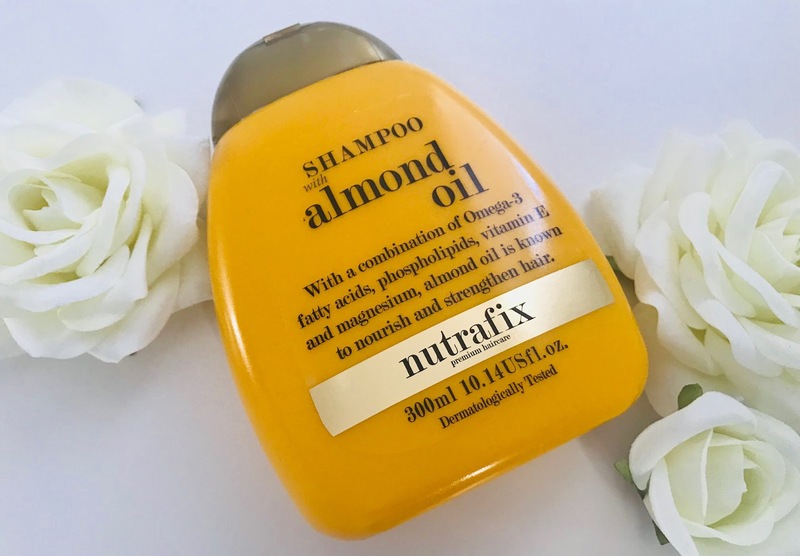 Saying this though the shampoo itself is of high quality, especially when you know it cost you a mere £1, in comparison to the £6.99 like brand) The formulation lathered up well, left my hair knot free (a problem I seem to be having at the moment!) and most importantly my hair felt wonderfully clean. What more could you ask for? 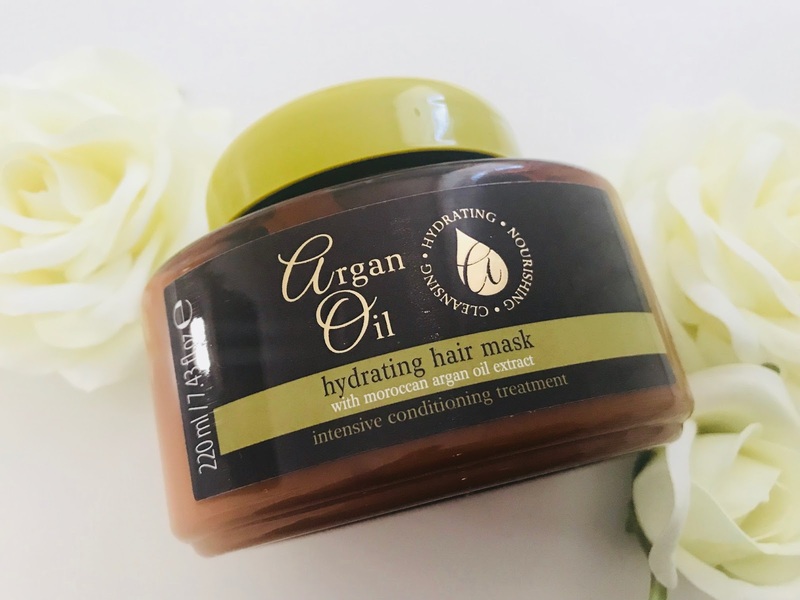 Following on from my desperate need to sort my dry and damaged hair out, I saw this Argan Oil Hydrating Hair Mask and knew I had to give it a go! Anything with the word "Mask" in and you know it is going to be full of loads of wonderful ingredients that will work all kinds of magic on your locks. The first time I used this was in the shower so it was only kept on for around 5 minutes. It smells really good, has a great thick consistency so is super easy to apply and really felt like it was doing something. Once it had been washed out and I'd completed my "usual" hair routine, my hair did feel like it had been given a dose of TLC, but if i'm honest I was not completely wowed by it. The second time I used this however I applied the mask, wrapped my hair in a towel and sat working from home for a good 3 hours before jumping in the shower to wash it out. My hair felt incredible! Soft to touch, silky smooth and super shiny. Once dried, my hair did feel a little flat but that does tend to happen to my hair anyway when I use a treatment or mask, along with me tending to need to wash it a lot sooner than if I was to skip this step. All in all for the sake of £1 i'd certainly repurchase this product and use if for say a once a month deep treatment. 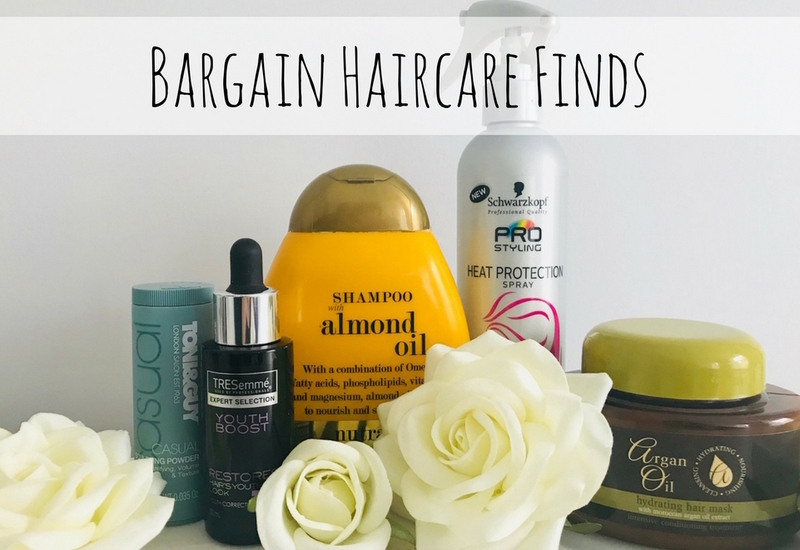 It gave my hair the good deep moisturise it was craving and for that i'd certainly recommend you giving it a go! The only disclaimer I would give you, would be the aftermath in your shower tray! This product is very high in oils and if any residue remains in your shower tray like mine did, it becomes very slippery and quite difficult to clean! Make sure you completely rinse out your shower/bath after use. This next product definitely caught my eye and I knew I'd be testing it out as soon as I saw it. 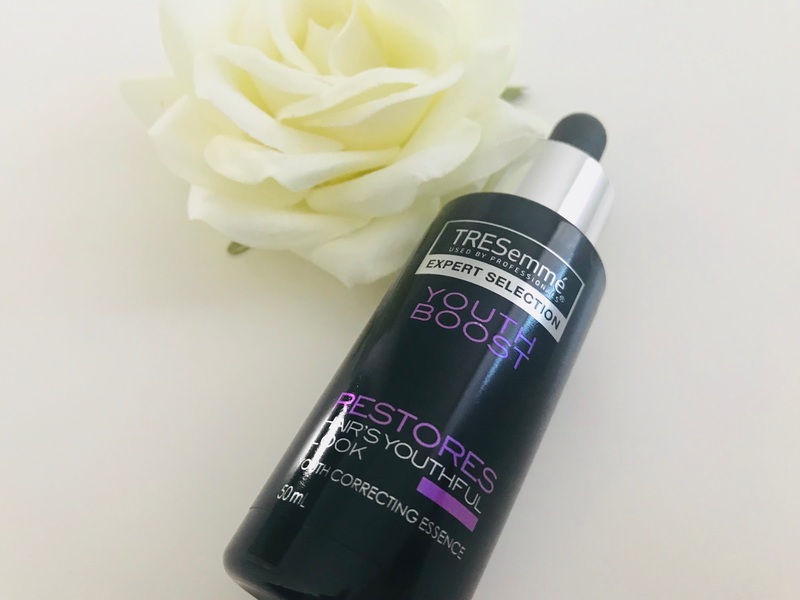 I love Tresemme as a brand anyway so with the added "Youth Boost" of this "Youth correcting essence" there was no way I was leaving the shop without it. £1!!! I repeat £1! I don’t know what it is, but there is just something about a ‘dropper bottle’ that makes you feel so fancy! It certainly makes the product feel a lot more expensive than £1, that’s for sure! 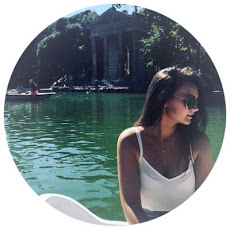 The formulation is quite thick which is nice, and once again (a running theme of all products I seem to use) it smells really wonderful, AND lingers in your hair. I’ve used this in 2 different ways since purchasing. Firstly as a treatment for the ends of my hair when it is still wet. I left my hair to dry naturally and it felt lovely and smooth afterwards. The second way is as a final touch after I have styled my hair. It works really well in the lengths of your hair to make it super sleek and shiny as well as holding down any fly aways. Again, like the other products, I am highly impressed with this and will certainly be stocking up the next time I see it in the Poundshop. 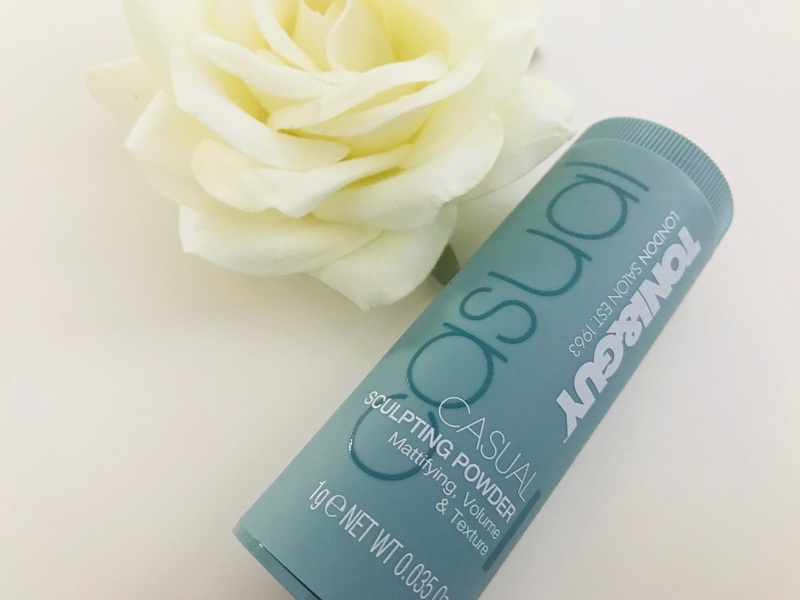 The Final Product I have is this Tony and Guy Sculpting Powder, which I have just seen you can purchase in other locations for up to £4. It was actually my partner who picked this up, he is a sucker for anything root boosting/lifting so he thought he would give it a go. He predominantly uses dry shampoo (or even sometimes baby powder) to create the same effect but he liked this enough for it all to be used up already! It works in the same way most root boosters do in the sense it adds texture and thickens the root to make it easier to style, but he particularly liked this one for how fine it was, which makes it a lot easier to blend into the hair and does not leave a nasty white powdery residue like some can. All in all, I think this went down well, and i'd actually really recommend it to anyone out there who uses clip in hair extensions as this is great to use before backcombing the area to secure the clips in place better. I'd say this was a very successful trip to the Poundshop and I can't wait for my next visit!